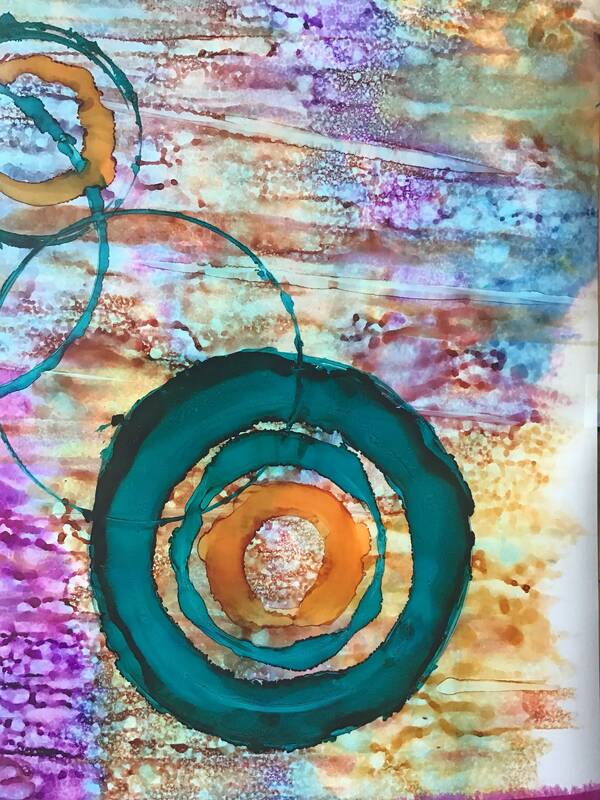 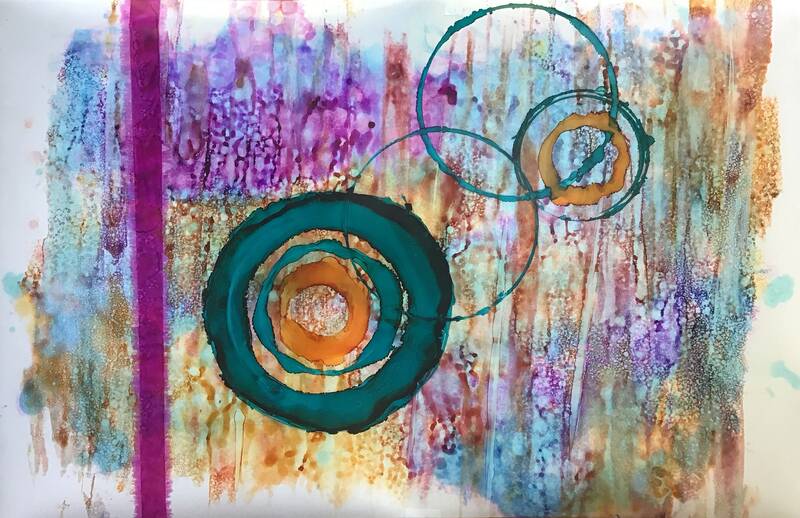 Balancing Act 23" x 35"
This is an original one of a kind alcohol ink creation. 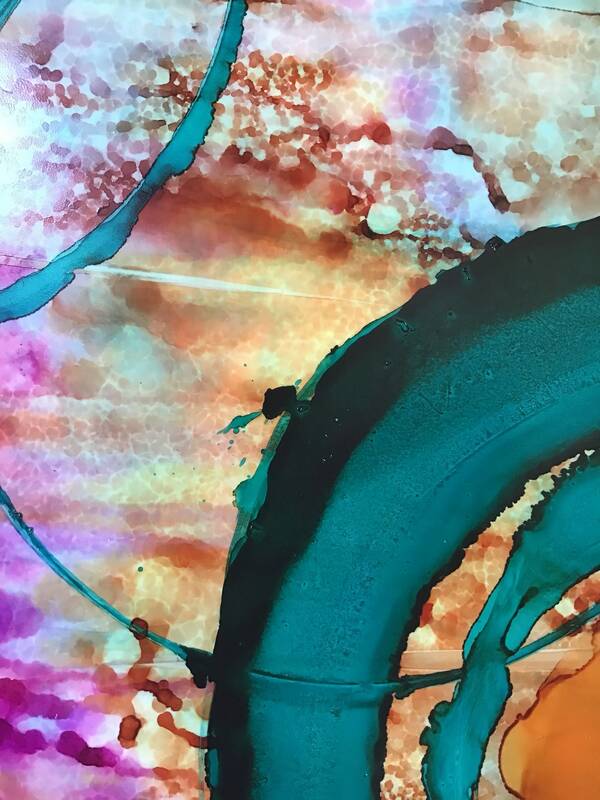 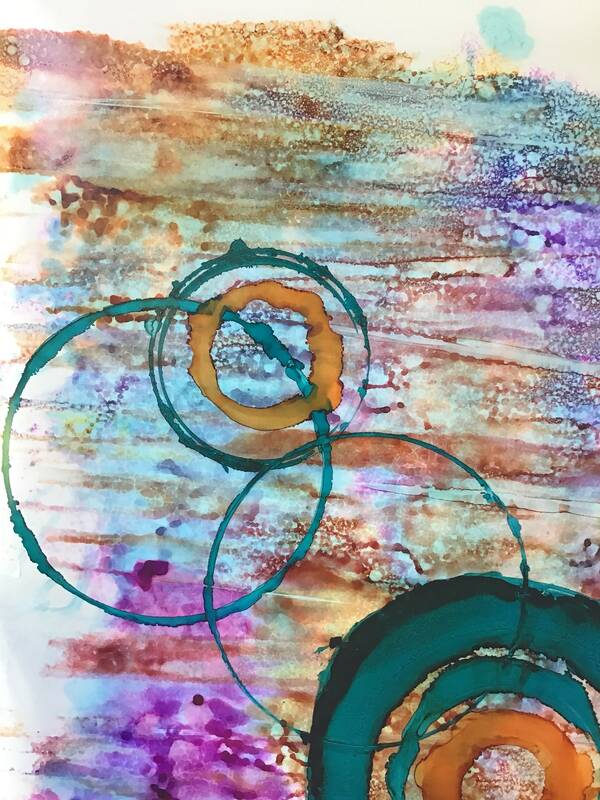 Varying tones of green, yellow, fuchsia and blue used to create this abstract in vibrant tones. 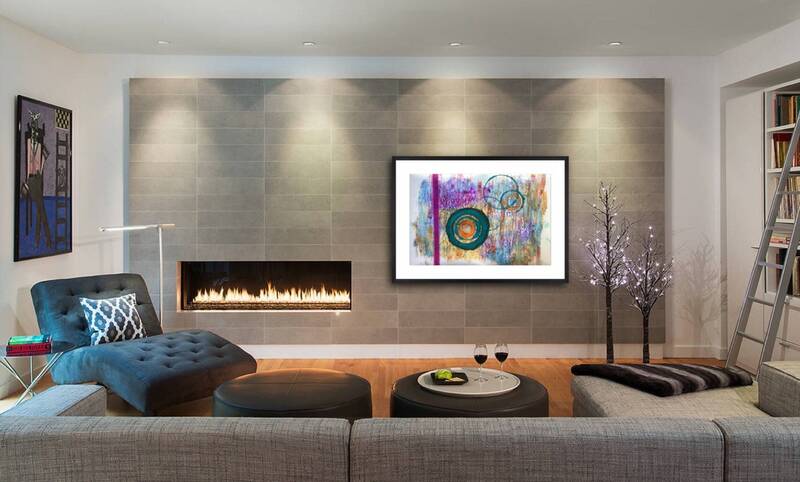 This colorful piece will look great in any room.